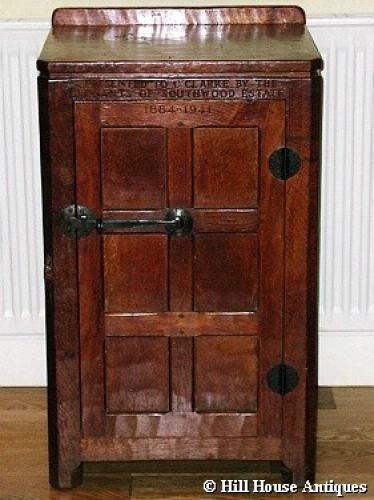 Rare early period Robert (Mouseman) Thompson bedside cabinet or equally useful as a small cupboard hall piece. Superb colour/patination and condition. Incribed to front (see images)- given to C Clarke as a gift for undoubtedly being a great landlord or suchlike! Approx 29" high, 15" deep and 18" wide. c 1940.